My first public activity in New Zealand is OSHA Talks. I’m excited to share my experience with you here. Osha – which means ‘pot’ in Castillian Spanish – is the name of a new series of talks serving as a platform for the exchange of ideas that have been inspired by experiences around the world. 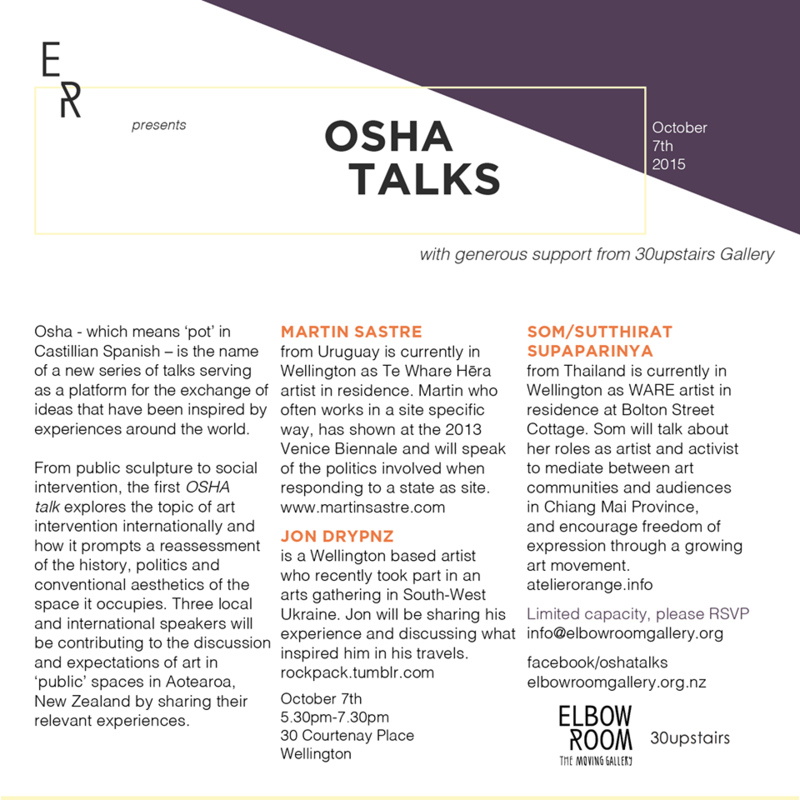 From public sculpture to social intervention, the first OSHA talk explores the topic of art intervention internationally and how it prompts a reassessment of the history, politics and conventional aesthetics of the space it occupies. Three local and international speakers will be contributing to the discussion and expectations of art in ‘public’ spaces in Aotearoa, New Zealand by sharing their relevant experiences.